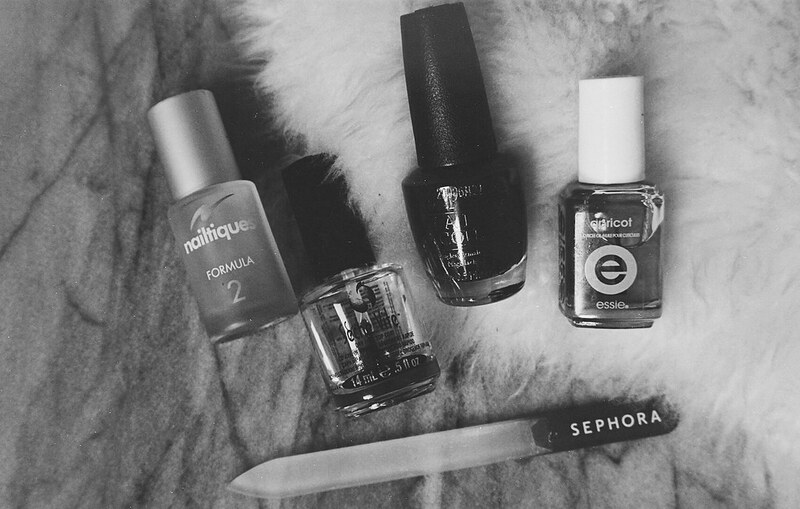 I don’t think I’ve really posted anything on my blog about nail care products before, but I think that’s because I’ve been saving it for when I knew I found the best products to share with you all. I’ve always struggled with my nails, so taking care of them just wasn’t a priority to me because I thought that getting them to look presentable was a lost cause. For as long as I can remember, they’ve always been very brittle and thin. They would always peel, and although they have a decent shape and could grow fast, my nails would always end up breaking before they could get to a desired length, and it would be quite painful since they would always break right in the middle of my nail bed. I also am very rough with my nails, so nail polish chipping within a day or two of painting them was just something that I accepted. I could go on and on about the abysmal condition of my nails, but luckily, that all ended quite some time ago! I’ve been using a few products for months now, and I think it’s safe to say that these products are the ones that I think have made a huge difference in terms of how my nails are looking and feeling these days. If you are having some issues with brittle nails and want to learn how to fix them, please keep reading!